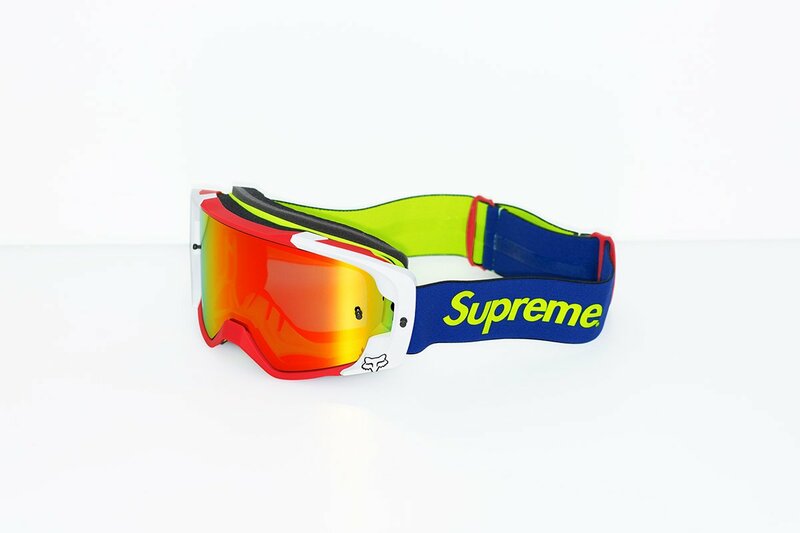 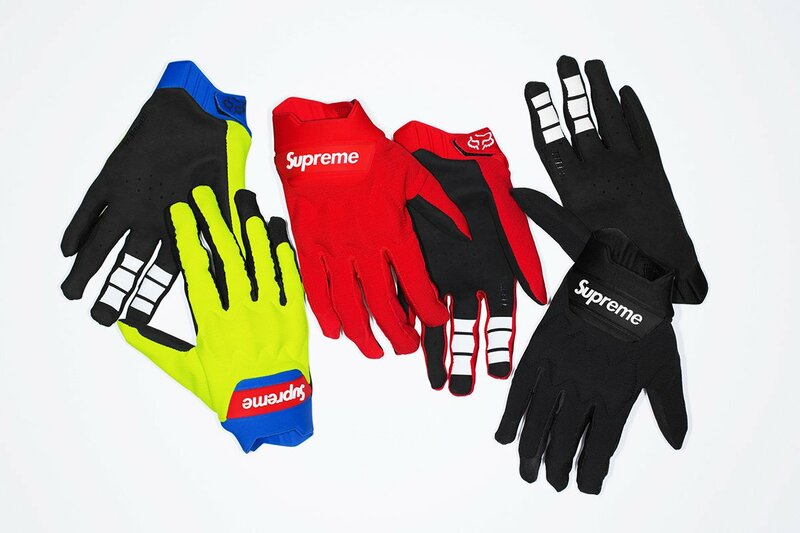 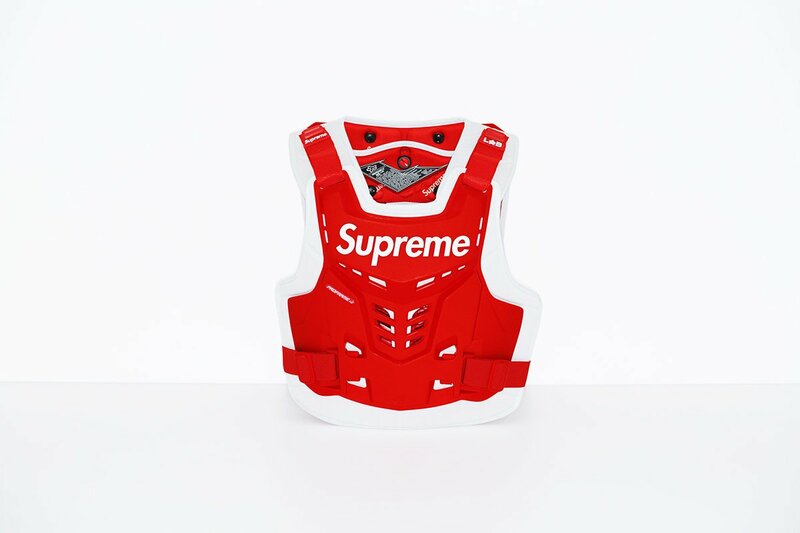 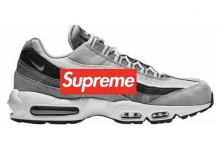 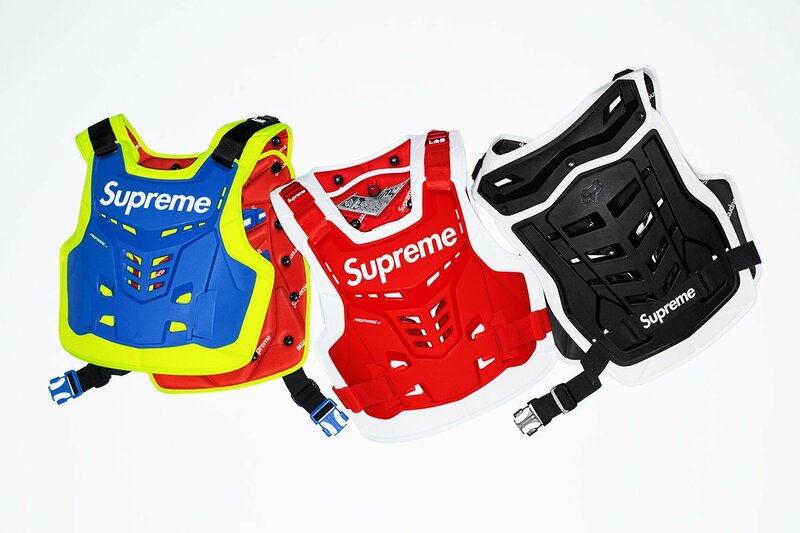 Supreme will be teaming up with racing company FOX RACING on a special collection highlighting key accessories special to the biking line. 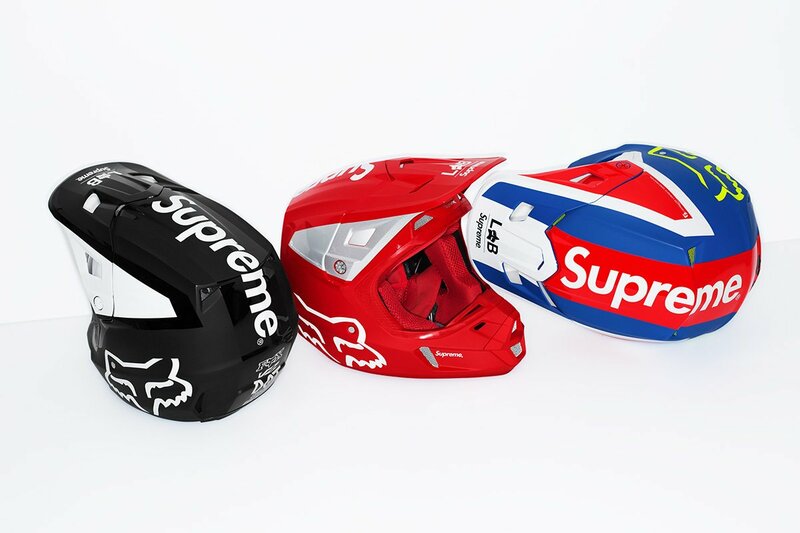 Made exclusively for Supreme, the V2 Helmet features a fiberglass shell, dual density EPS liner, and ventilation system including ten intake and four exhaust vents. 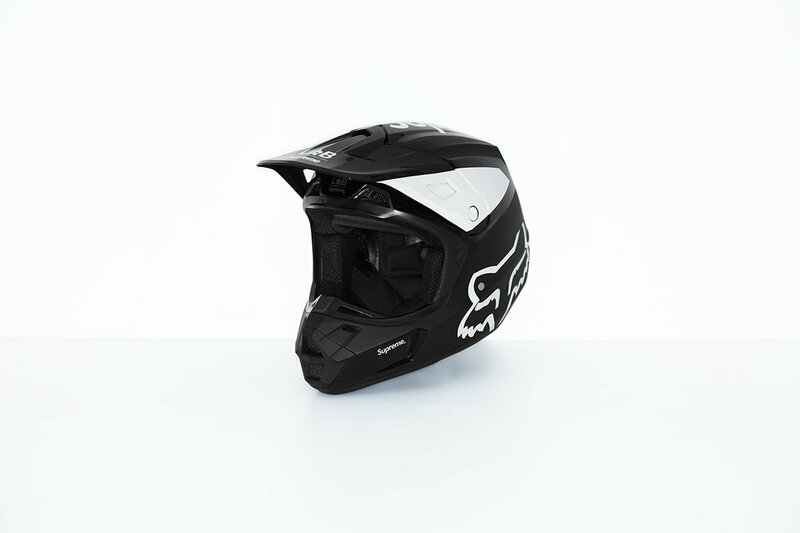 The V2 Helmet meets ECE 22.05 and D.O.T. 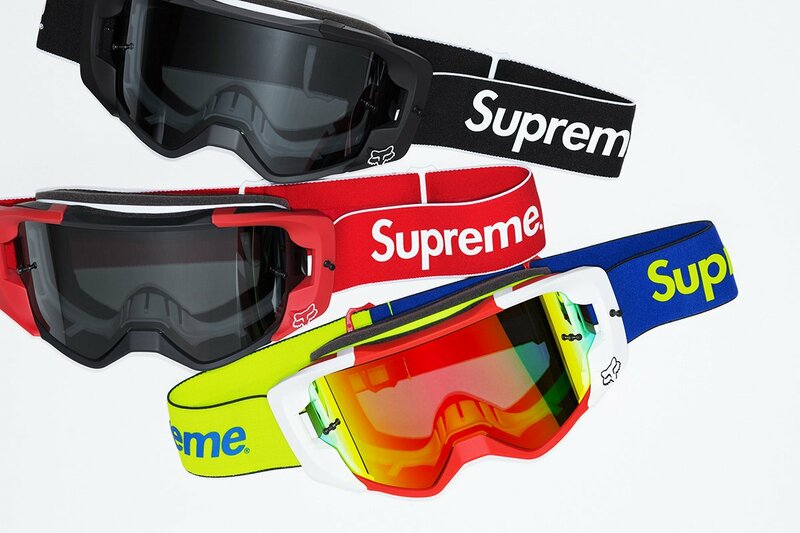 certifications. 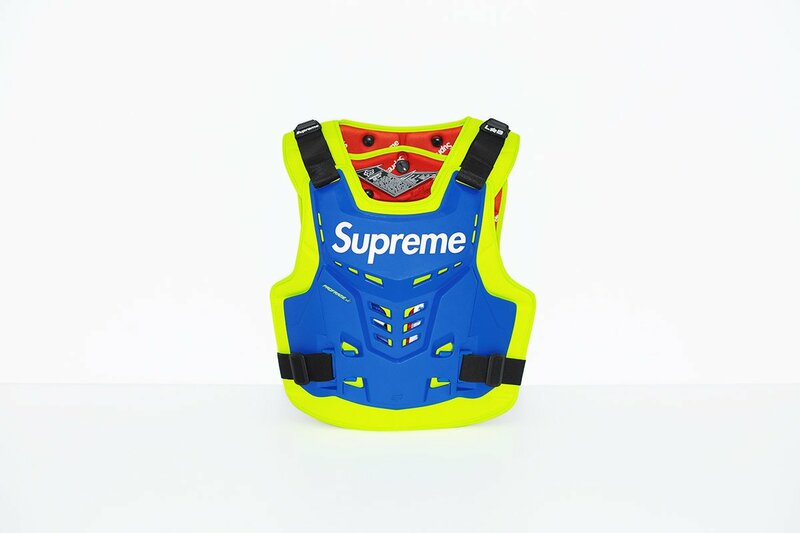 The Proframe Roost Deflector Vest features neck support compatibility, an integrated buckle system, and removable back panel. 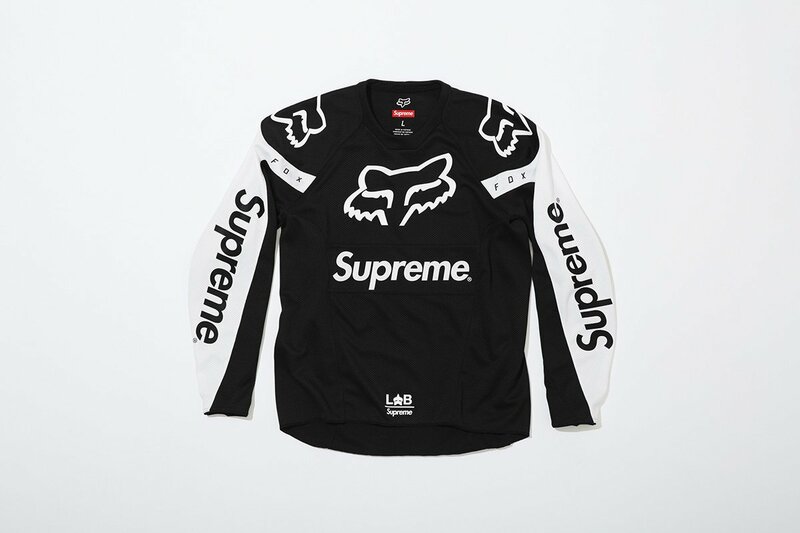 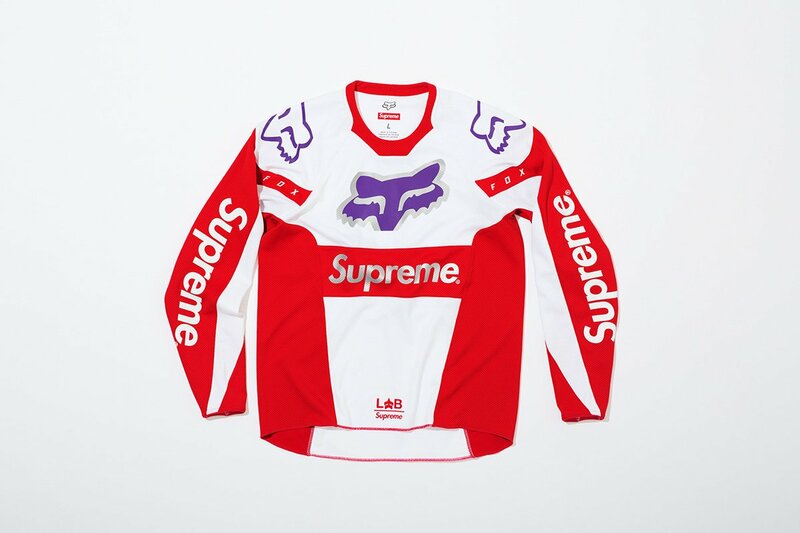 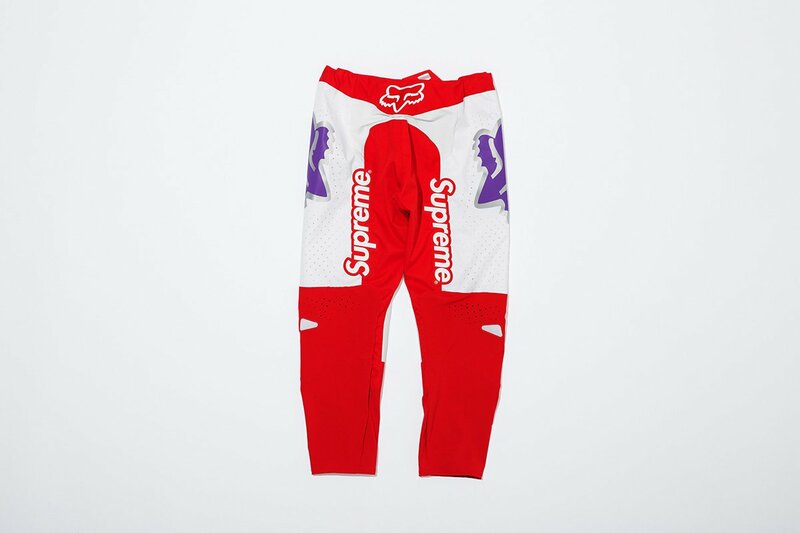 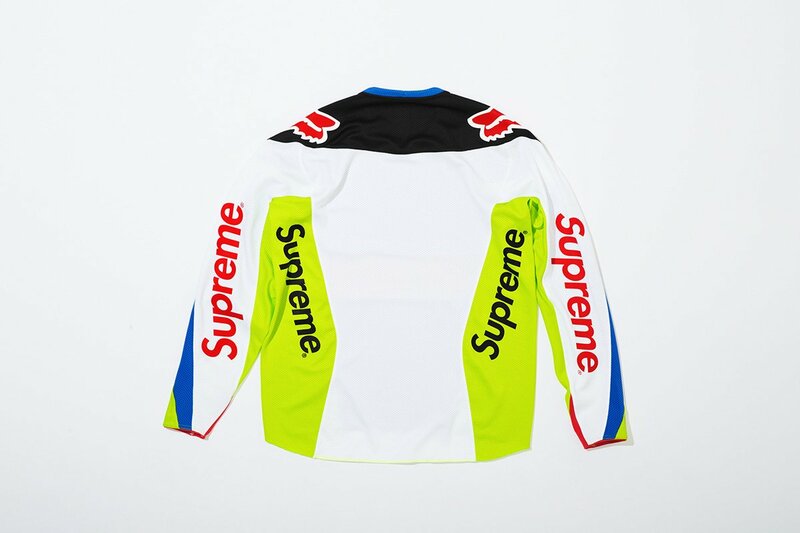 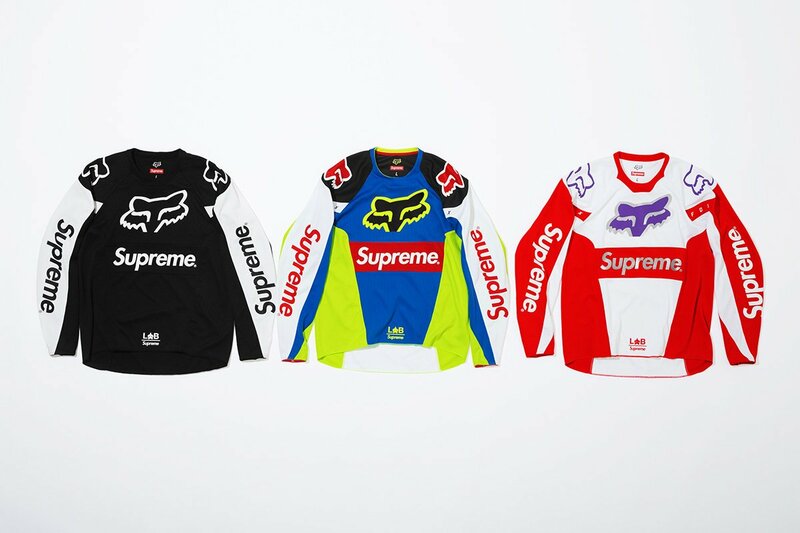 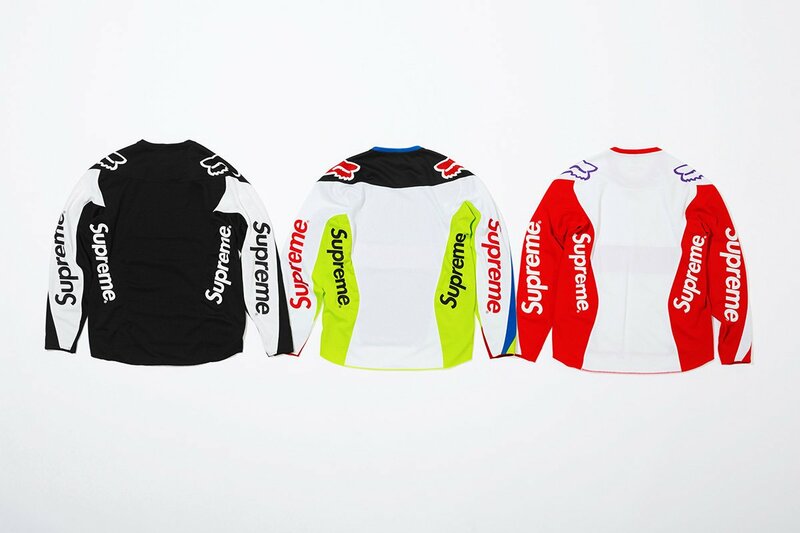 Supreme has worked with Fox Racing on a new collection for Spring 2018. 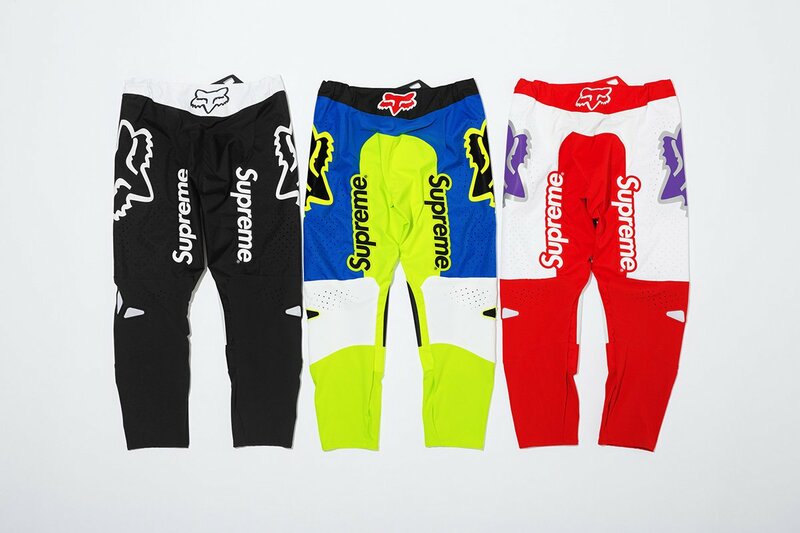 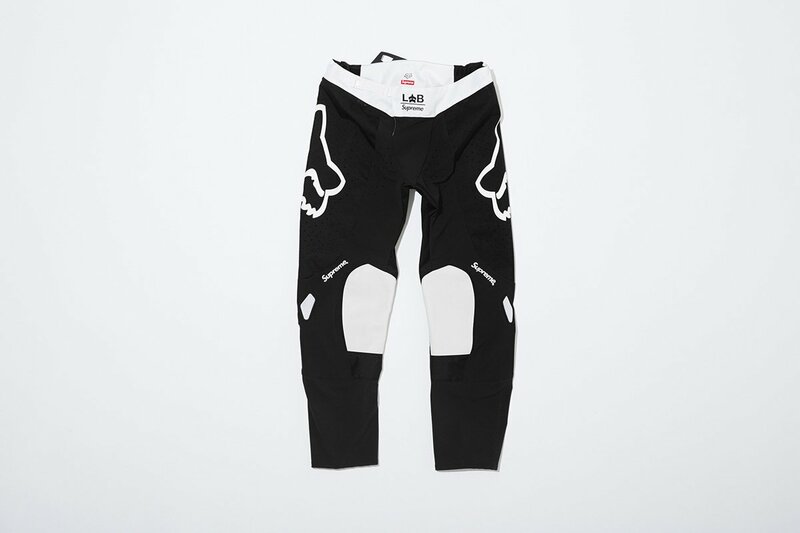 The collection consists of a Moto Jersey Top, Moto Pant, V2 Helmet, Vue Goggles, Proframe Roost Deflector Vest, Bomber LT Gloves, and Moto Hand Grip. 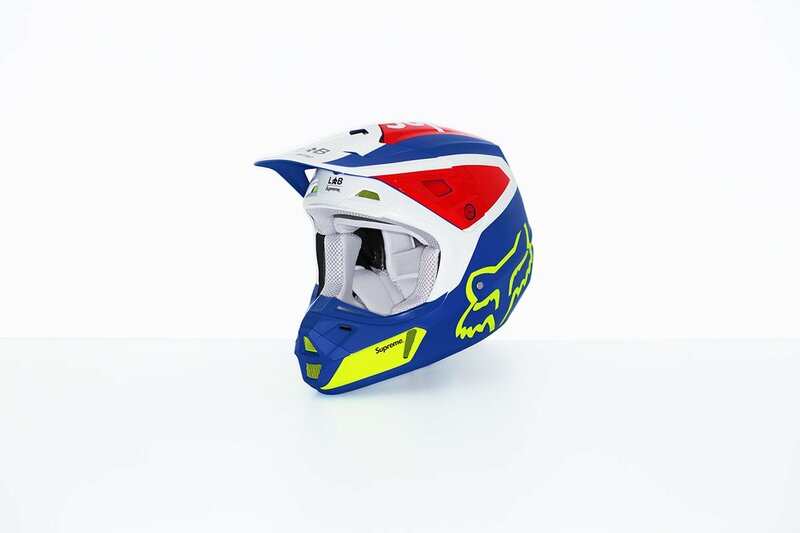 In 1974, Geoff Fox launched Moto-X Fox in Campbell, California. 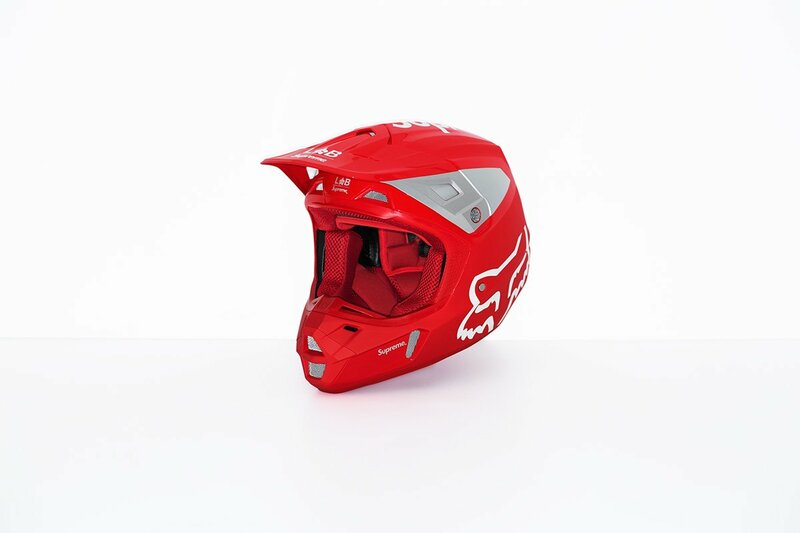 Initially a distributor of European parts, Moto-X Fox began developing and manufacturing its own components. 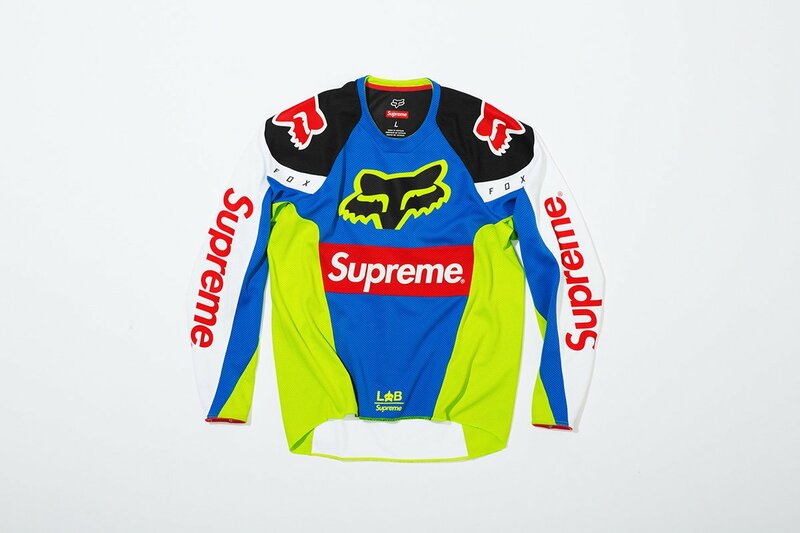 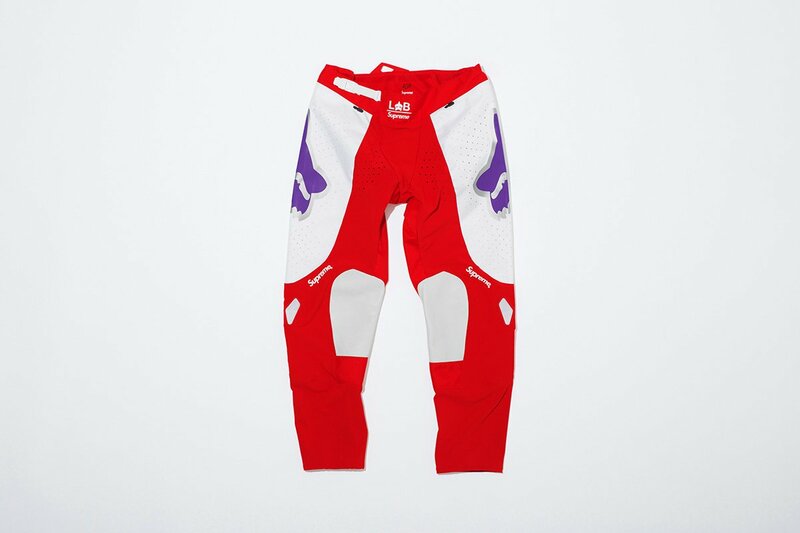 Shortly after, Moto-X Fox assembled a professional motocross team, who competed in vibrantly colorful racewear handmade by Geoff. 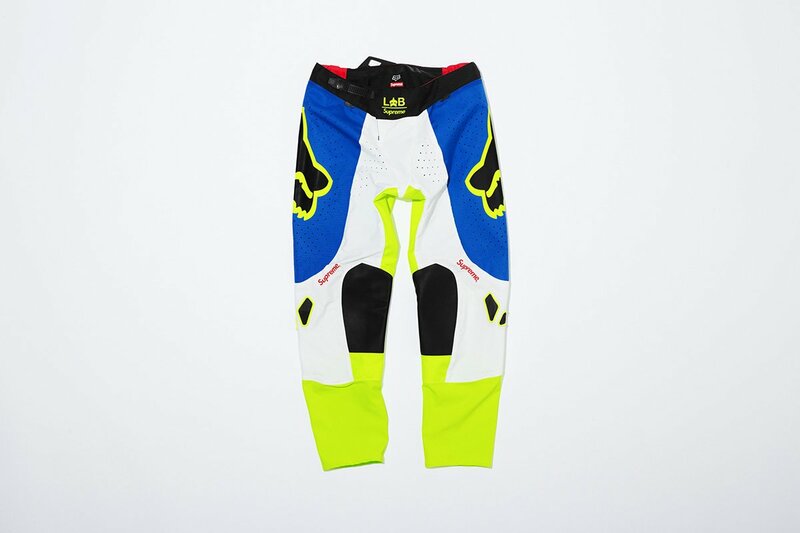 Fans began calling Fox’s Campbell shop looking to purchase Fox Racing uniforms. 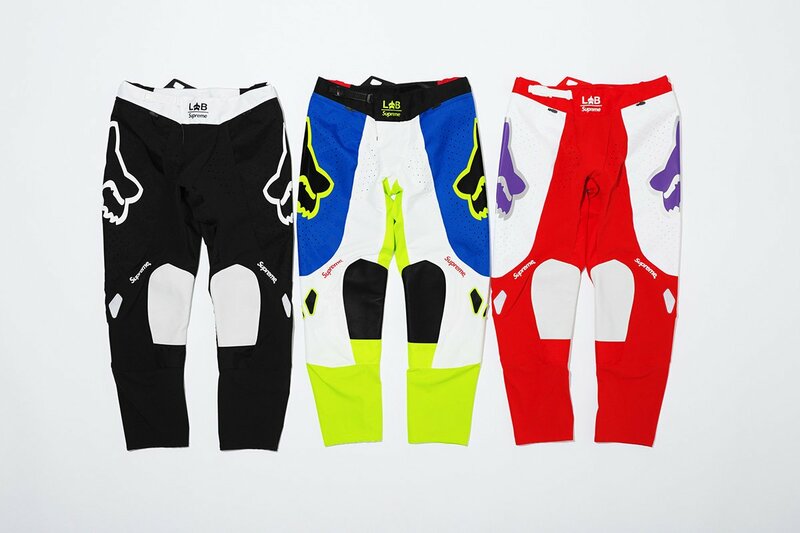 Four decades later, Fox Racing’s distinctive designs have become synonymous with motocross globally. 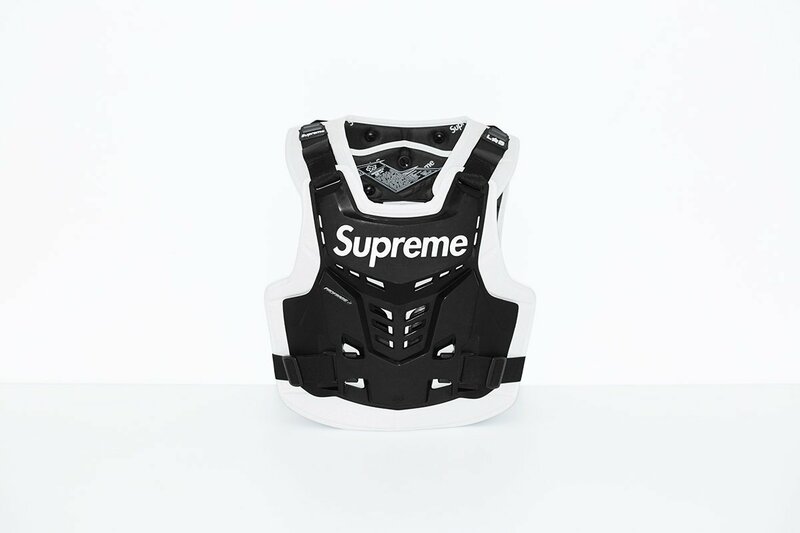 Available in-store NY, Brooklyn, LA, London, Paris and online May 10th. 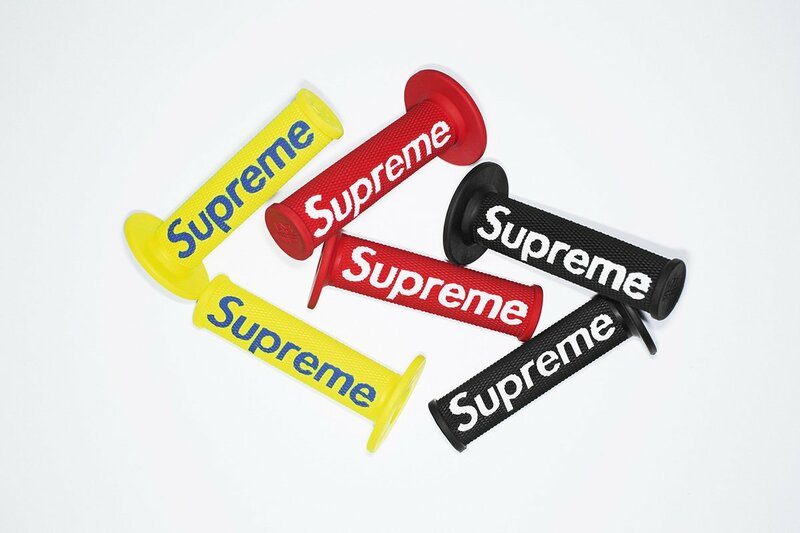 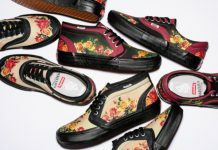 Available in Japan on May 12th.